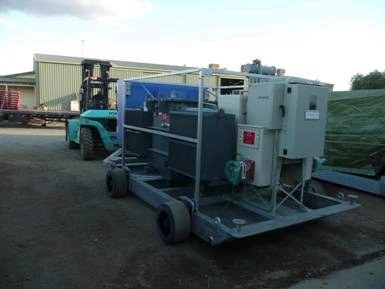 Hahn manufacture mining specification substations in various voltages and capacities. We offer standard design substations or we can build to your specifications or design and build to your requirement. We usually have standard design mining specification substations in stock for immediate sale in common voltages such as 11 KV / 1000 Volt. 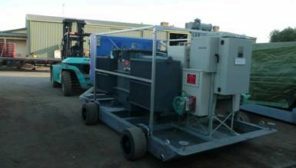 We build skid mounted substations that are designed to be moveable for underground applications and can also design and build fixed substations on site to meet your needs. We use the highest quality materials and workmanship to ensure long life, excellent reliability and low maintenance.